The Regency Spices company have produced a useful food infographic that lists a whole mix different spices and how to cook with them. Cooking with spices is a great way to add an extra kick of flavour to your dishes but there’s so many options available it can be a little hard to decide what spice to go for. 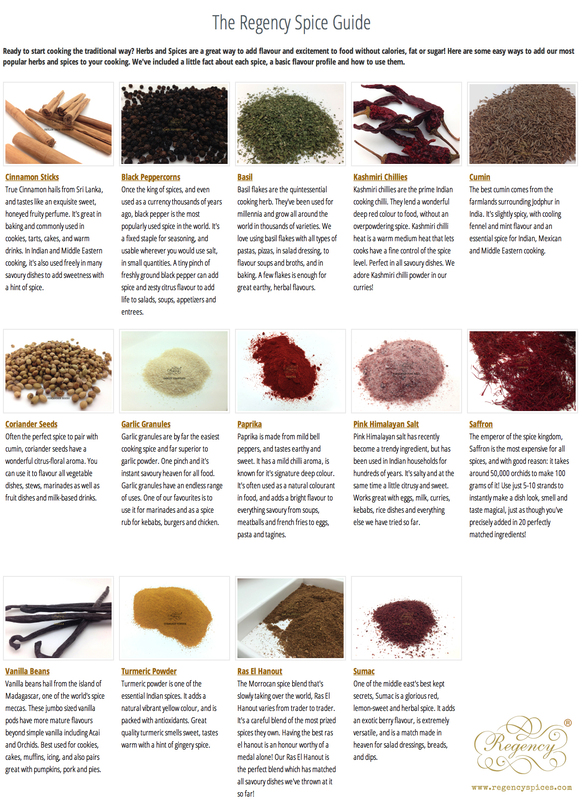 Cumin, chill, basil and saffron are all listed alongside some lesser known spices like sumac and raw el hanout. There’s 14 different spices listed on the infographc with some useful details on how each of them should be used when cooking.